Sroka Property Services Ltd was founded in April 2008 in Oxfordshire as a landscaping and decoration business. We have grown over the last 10 years into a business that incorporates new builds, property extensions providing plumbing and electrical works, roofing. All work carried out with certificates and warranties. We have grown significantly on the back of a glowing reputation for outstanding quality and excellent service levels. We mainly work in Oxfordshire but work in other counties if the size of contract warrants it. Priding ourselves on being able to operate in the most demanding environments we have built our reputation on delivering projects on time, within budget and without compromise. We strongly believe we can delivery all projects because our power is our team behind us! 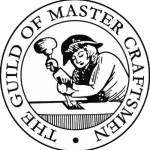 Sroka Property Services Ltd is part of The Painting and Decorating Association and The Guild of Master Craftsmen. All of our contractors are fully insured and part of The Gas Safety and NICEIC Electrical organization. Sroka Property Services Ltd holds First Aid, PASMA and IPAF certificates. © Sroka Property Services Ltd | Website by Niki Peach Design Theme: Excel Business by Excel Theme. Powered by WordPress .